We know the scene: for once you didn’t have to call everyone to the dining table - the smell of tonight’s dinner did it for you. You’re just about to take your first bite, when out of the corner of your eye you spot your kitty. Eyes wide, and waiting patiently for what’s on your fork. Do you do your master’s bidding? Depends on what’s for dinner! What foods should my cat NOT eat? The smell of frying onions and garlic makes our mouths water, but for your cat these dinnertime stars are a huge no-no. Eating even a small quantity of onions can cause anaemia in cats. Be particularly careful of onion or garlic powder, as these are often found in packaged food for cats. Always read the ingredients! Don’t worry about giving your cat a little cooked meat, but make sure to take out any bones. Cooked bones are soft and splinter easily. These splinters are a serious choking hazard, and may cause internal injury if swallowed. Fresh bones are generally fine - just make sure kitty can’t swallow them and always supervise their gnawing. These might be a great lunchbox treat but keep them out of your kitty’s bowl! They can cause serious kidney damage and even kidney failure. Think apricots, cherries or peaches, then think ‘not for kitty’. Remember that your cat isn’t very familiar with fruit and those hard, indigestible seeds lurk under the surface. These can cause serious digestive problems, and also contain small amount of cyanide - harmless to humans, but our little friends aren’t so lucky. Apple and pear seeds should be avoided for the same reason. These just might be our two favourite things, and maybe it’s the look of pure bliss on your face that makes them so appealing for your cat. 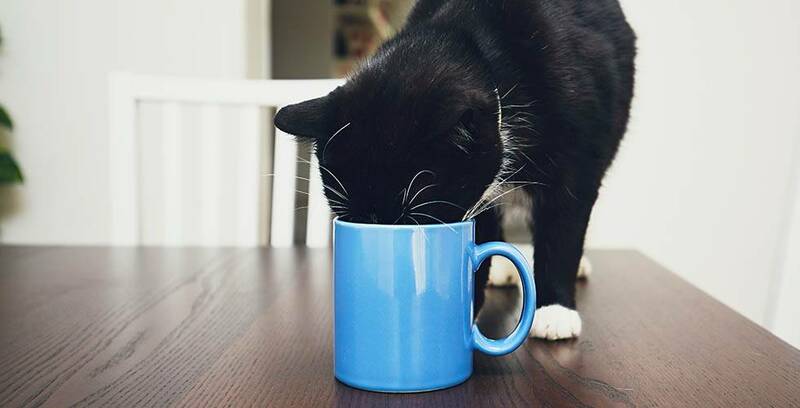 But whatever you do, don’t give in - chocolate and caffeine are diuretics and will cause vomiting and diarrhoea in your cat, leading to dehydration. Chocolate, in particular dark chocolate, can cause heart attacks in felines. And not even chocolate is delicious enough to take that kind of risk. Have mercy! Can’t a kitty let it’s hair down? Not like this! 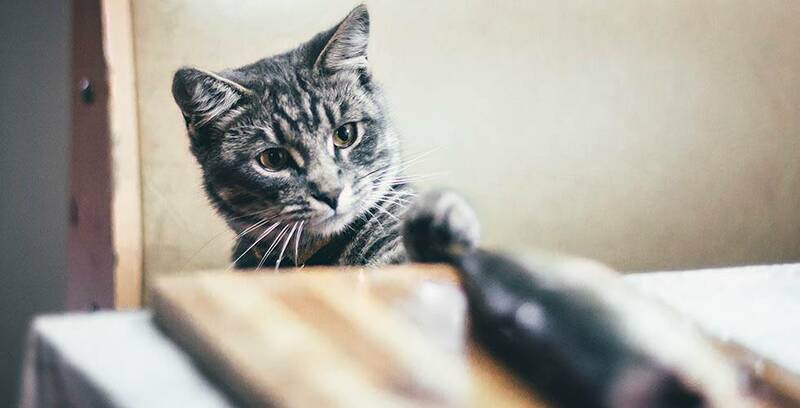 Alcohol is bad enough for humans, whereas your cat is a literal lightweight, and even small amounts of alcohol can cause liver damage and worse. Stick to catnip, and keep the wine for yourself. A saucer of milk might be the stereotypical cat treat, but in actual fact, most cats are lactose intolerant after they’ve been weaned. Try one of our suggested treats instead. 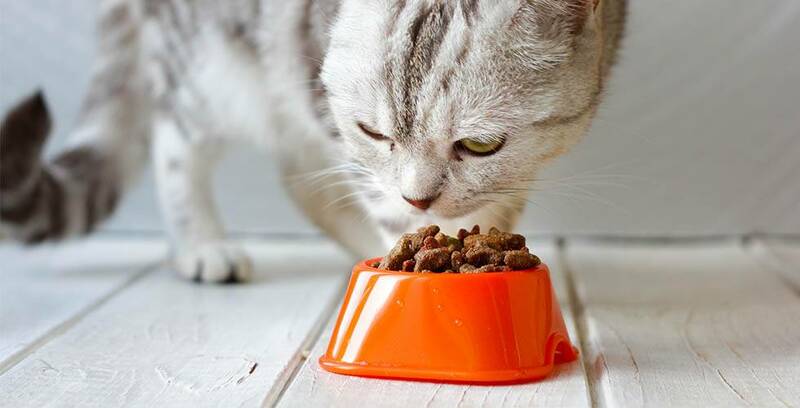 Cats love salty food - but that doesn’t mean they should eat it! Salt can cause vomiting, diarrhoea and even poisoning in your furry friends. Keep those hot chips to yourself! Your human stomach is a lot more versatile than your fur baby's. With that in mind, if you can’t stomach it, it’s best to assume that your cat can’t either. The only place for out-of-date food is in the bin. Raw meat is a contentious issue, and while many people swear by feeding it to their cat, many vets are wary of recommending it as a diet. On one hand, meat is a natural part of a cat’s diet, and the feline stomach is adapted to eating it. It provides necessary hydration and is a fantastic source of protein and taurine. However, raw meat can also be rife with harmful bacteria, and, eaten alone, doesn’t provide all the nutrition your cat needs - a raw diet needs to include meat in combination with other foods. A healthy raw diet requires a lot of research, preparation and care. If you would prefer the ease of quality, nutritious pre-prepared food for cats, check out our amazing range here. What do I do if my cat eats from the list? If your cat has eaten a large quantity of a given food, call your vet right away. They will know what to do. If you need help interpreting your cat’s body language, click here.